On Thursday I posted about my Cheap Smells 20% OFF purchase (MAC blush in breezy) and this is also what I got (the 20% offer has now ended but I will post if there is more good deals to be had). MAC pigment in Pink Bronze I think this cost me £8.00, I have only ever owned one MAC pigment as they last FOREVER!! I am always using bronze shades so thought this would be ideal. 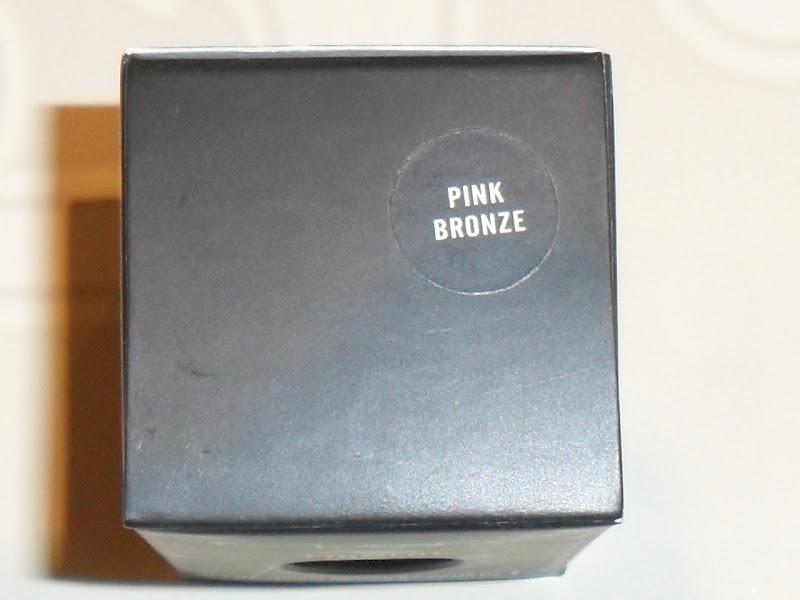 This pigment is more pink than bronze, which now seems obvious as it's called Pink Bronze not Bronze Pink!! I like it but i'm not too sure about whether I will use it very often. 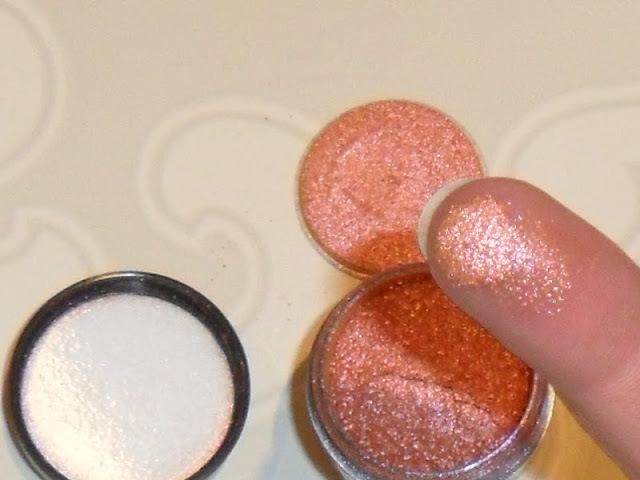 However it applies beautifully, pigments can be quite messy so be careful using them but once applied it has a shimmer that is AMAZING. What I have found with it though is if you build it up the pigment sticks together making it flake off so don't use too much of it. Here are some swatches. It is a gorgeous shade, will I use this on a regular basis? Hhhmmmm I have not decided. 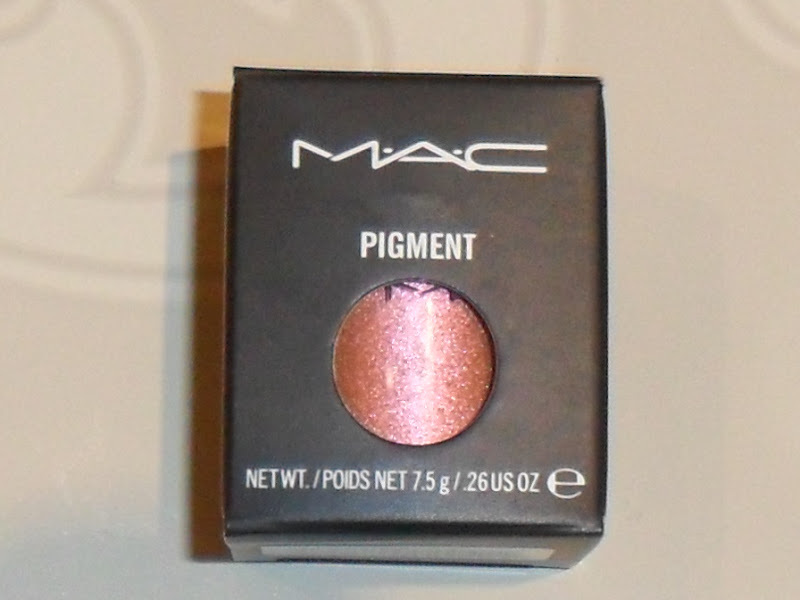 Do you have a MAC pigment? 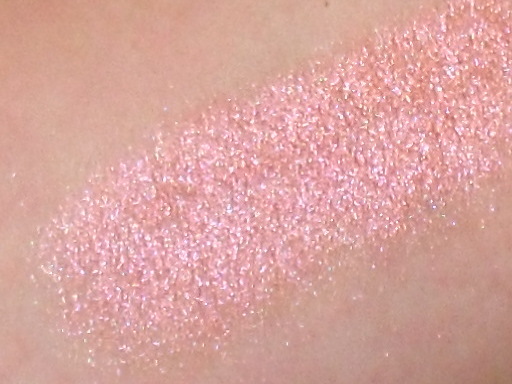 Such a lovely shimmer and a great price for mac. 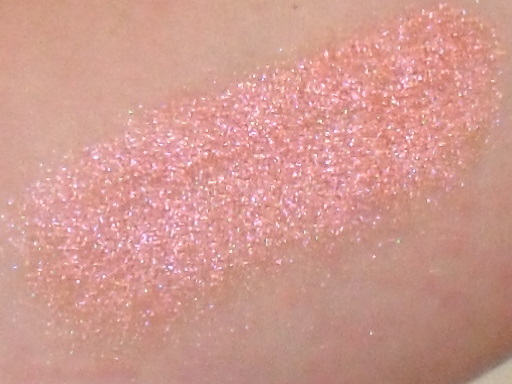 Would love to see this on, is it quite shimmery or more toned down? This is beautiful. I think it could be a really good colour for the summer, used with pale pinks to make a blended bright colour. It all depends on what you like though. Deffo good for tutorials and avaunt garde looks. I really think i'll pick this up.